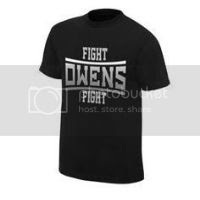 T-Shirts Only $17.99 Today at WWEShop.com! Tri-State New Jersey Super, September 12, 2015, Sign Up Now for this Reebok Spartan Race! Ft. Bragg Sprint, September 19, 2015, Sign Up Now for this Reebok Spartan Race! Shop Back to Class Cyber Days at Walmart.com! US Sports Network Welcomes The WWE Shop As Official Affiliate Sponsor! Affiliate Exclusive Offer - Save Additional 30% Off Sale Items All Summer Long with code AFFSALE30 at WWEShop.com! Save up to $300 on New Toshiba Laptops with Windows 10. Starting at $599.99. Offer Ends 8/3/15. FREE Shipping + Up to $500 OFF on Ready-to-Ship Laptops. Starting at $249.99. Offer Ends 8/3/15. Get $15 Off Your First Pick Up Order at Peapod.com with code CJPUP15 through 8/31. Some exclusions apply, see site for details. Shop Today! Springfield, VA – All season long, the D.C. Divas have been trailed by a production crew who plan to make a major documentary film about women’s football, highlighting the Divas’ 2015 season. Now the Divas will have a chance to give them a Hollywood ending. 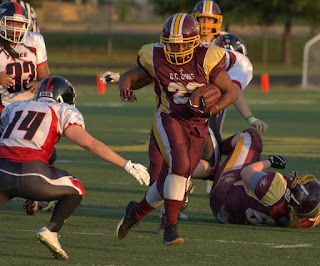 Kenyetta Grigsby shattered the franchise record with 324 rushing yards, the defense held Chicago’s explosive offense to a season-low scoring output, and the D.C. Divas clinched their third conference title in team history with a 43-24 victory over the Chicago Force. With the win, the Divas (11-0) advance to the 2015 Women’s Football Alliance (WFA) national championship game in Los Angeles, where they will face the Dallas Elite on August 8 for the national title. The Force (9-2) entered the game averaging a remarkable 59.8 points per game, and they lived up to their advanced billing on their first drive of the game. Chicago quarterback Rachel Gore and wide receiver Jamie Fornal, who were teammates with the Seattle Majestics before joining the Force this season, showed the strong connection they have developed over the years. Fornal caught three passes on the drive, and Gore then surprised the Divas defense by tossing a four-yard touchdown pass to Kim Marks. Marks’ first reception of the entire season handed Chicago an early 6-0 lead. The Divas’ offense had an immediate response. Three runs by Grigsby advanced the ball to midfield, and despite an offensive pass interference penalty that put the Divas in a hole facing first and 25, the Divas climbed their way out. Wide receiver Ashley Whisonant caught an 18-yard pass to make for a manageable second down play, and Grigsby then rushed eight yards to move the chains. Grigsby finished the drive off with four straight runs, powering over the goal line from two yards away to put the Divas on top, 7-6. The D.C. defense made their first stand of the game, forcing three incomplete passes to bring up a Chicago punt. The Divas got right back to work on offense, capping an impressive 74-yard drive with a 19-yard touchdown pass from quarterback Allyson Hamlin to wide receiver Kentrina Wilson. Hamlin would finish the game with six completions on just 11 attempts for 73 yards and one touchdown. Whisonant caught four passes for 45 yards, and Wilson snagged the other two for 28 yards and a touchdown. The Divas’ only passing touchdown of the game put them ahead, 14-6. The Divas forced another three and out from Chicago and were on the move with an eight-point lead as the first quarter concluded. Early in the second quarter, Grigsby scored her second touchdown of the game on the ground, running eight yards for a score and a 21-6 Divas lead. The D.C. defense allowed one first down before forcing the powerful Chicago offense to punt the ball away for the third straight possession. The Divas were in position to potentially grab a commanding lead, but the Force defense stopped the Divas in their tracks, forcing the first D.C. punt of the contest. After three straight failed offensive possessions, the Chicago Force put together a much-needed offensive strike midway through the second quarter. Aided by two 15-yard personal foul penalties on the Divas, the Force drove down the field. Gore and Fornal illustrated their special connection once again, as Gore hit Fornal for a 26-yard touchdown pass to pull the Force within 21-12. With time running down in the first half, the Divas’ offense hurried to add some more points to the scoreboard. D.C. advanced the ball to the Chicago 21-yard line, where they faced fourth and one. Hamlin took the ball on a quarterback sneak and easily made the first down, rushing for six yards, but a Chicago defender drilled Hamlin at the end of her run and forced a fumble. The Force recovered to stave off the Divas’ scoring threat and went to the halftime locker room trailing by nine points, 21-12. The D.C. Divas came out of intermission determined to put the game out of reach. Callie Brownson returned the second half kickoff well into Chicago territory, and Grigsby followed that up with a 25-yard sprint into the end zone for her third touchdown of the game. Ashley Branch entered the game at fullback and bulled her way into the end zone for a two-point conversion, and the Divas led, 29-12, less than a minute into the second half. The Divas defense then rose to the occasion with another terrific stop. The Force encountered a fourth and two situation at midfield, and Chicago decided to go for it. 17-year veteran linebacker Trigger McNair stoned Gore for no gain on a run, and the Divas took over possession at the 50-yard line. The Divas began to push the Chicago defense down the field, in possession of a 17-point lead. For the second time in the contest, the Divas had an opportunity to take a commanding lead that might have broken Chicago’s spirit. But once again, the Force defense made the big play. The Divas were stopped for no gain on fourth and two at the Chicago 12-yard line, and the Divas turned the ball over on downs without adding to the lead. Chicago made the Divas pay. Cassey Brick, the former San Diego Surge standout who was the MVP of the 2012 national championship game, came into the game as the most explosive scoring threat for the Force. The D.C. defense did a terrific job of keeping her in check for most of the contest, but Brick finally broke free for a 47-yard touchdown to slice the Divas’ lead to 29-18. D.C. tried to respond on offense, but a 15-yard personal foul penalty stalled a promising Divas drive. Chicago then stuffed a fake punt by the Divas and took over possession at their own 33-yard line. With momentum on their side, the Force cranked up their vaunted offense and pushed the ball all the way down to the Divas’ five-yard line as the third quarter ended. Chicago finished off the drive in style, as Marks caught her second pass of the season. Her second reception of the year was her second touchdown of the game against the Divas, and with 13:48 remaining in the contest, the Force had pulled within 29-24. The Divas were reeling. On their first offensive play of the ensuing drive, a botched handoff resulted in a fumble and a recovery by Chicago at the D.C. 25-yard line. The Force had the ball deep in Divas territory, trailing by just five points and with a chance to take their first lead since scoring the game’s opening touchdown. Then came the biggest play of the game for the Divas. Gore turned and swung a pass out toward Brick, but the lateral fell to the turf. Several Divas defenders converged on the ball just before it rolled out of bounds, and because it was a backwards pass, it was a live ball and a fumble recovery for the Divas. Given a reprieve, the Divas were met with their most critical offensive drive of the entire season, and they put their fate in the hands of Grigsby. The Divas handed the ball to Grigsby on seven straight plays, and she followed some outstanding blocking for consistently long gains. The offensive line of Ashley Branch, Jen Gray, Rachel Huhn, Missy Bedwell, Ashley Rozendaal, and Becky Worsham carved out huge holes for Grigsby, and Okiima Pickett threw several tremendous blocks to help spring her teammate for outstanding carries. Kenyetta Grigsby picked up 65 yards on seven carries on that drive alone, culminating in a six-yard touchdown run. For the game, Grigsby carried the ball a staggering 41 times for a franchise-record 324 rushing yards and four touchdowns. Her fourth and final touchdown of the evening gave the Divas some much-needed breathing room and a 36-24 advantage with 9:51 left in the game. Trailing by two scores, the Chicago offense needed a quick answer. They picked up two first downs, but their drive stalled at midfield. Three stops by the D.C. defense brought up fourth and ten from the 50-yard line. Linebacker Tia Watkins then delivered one of the most punishing hits of the game, knocking Gore out of bounds after a three-yard gain for a turnover on downs with 6:43 left to play in the contest. The Divas then put together the decisive offensive drive of the game. Although they failed to score, the Divas kept the ball on the ground and bled more than five minutes off of the clock. By the time the Divas turned the ball over on downs at the 23-yard line, only 1:37 remained in the game, and the Divas still held a 36-24 lead. The Force took over, needing two touchdowns for a dramatic comeback victory. Forced to press the issue, Gore threw her only interception of the night, and Divas linebacker Cherre Marshall iced the game by picking off the pass and returning it 25 yards for the game-clinching score. Marshall and McNair led the Divas with seven tackles each, while Whisonant added five on defense and Watkins chipped in with four. The Divas led, 43-24, with a minute and a half remaining. On the ensuing kickoff, the Force tried multiple laterals and reverses in an attempt to break free for a quick score. But one of their laterals fell to the ground, and Lillian Cherry pounced on it for the Divas. The Divas proceeded to run out the clock on one of their most memorable victories in franchise history. The D.C. Divas are now 11-0 for the second time in team history, joining the 2006 Divas who finished their season 11-0 after winning the team’s only national championship. The Divas claimed their third conference championship with the win, and they will make their third appearance in a national title game on August 8, when they face the Dallas Elite in Los Angeles, CA, for the 2015 WFA national championship. Brought to you by Scores, Stats, Highlights, and Cool Online Shopping. The Scoreboard Mall! Shop Rollbacks on Bedroom Mattresses at Walmart.com!